I am writing this post not to give advice. In fact, I feel the least qualified to give you advice right now. Rather, I write to confess and hold myself accountable to the standard to which I believe God holds me. I didn't write this with grand intentions of it being read, so it is my unedited pouring out of my heart and is a bit wordy. I have reached the point of homeschooling at which I no longer look forward and see no end. My youngest is 8 and while that seems to be still early, having two children enter young adulthood has given me perspective on how little time I actually have left to be the primary influence in my children's lives. In 5 years, I will graduate my daughters and God willing send them off to college. FIVE years. You know what that means? It means I have fewer years left with them than have passed with them. We are well over the half-way mark. They are no longer young children. We have entered the "train them to be adults" stage. In five years, as my girls enter independence, my son will then be entering young adulthood. Even with at least ten to go with my son, the dynamics of his sisters being done with school will change my season in an exceptional way. In this very season, I see my own "freedom" slowly increasing. My children no longer need me to make breakfast or lunch for them. They are developing their own interests and desire more and more to express their freedom in spending time away from home. My kids have Starbucks get to-gethers. STARBUCKS GET-TOGETHERS. Seriously, I drop them off and they drink smoothies and talk girl stuff with friends. My son gets out of the car at the park and runs off to play while I am able to sit and read my Bible or listen to the radio. Gone are the days of me following him around the playground because he wanted me to watch all of his cool tricks. If not for the legal ramifications I would feel no fear in leaving him there to play by himself for an hour or so. This is a season of seeing the light at the end of the tunnel. Of realizing just how quickly time passes. Of meditating on how "life is a vapor that quickly passes away". It has also been a difficult time for me, but not in the way you would expect. You see, I have no sadness at all over my children growing up. Not because I didn't love them being little, or because I don't love them now. It is rather because I have come to terms with the fact that God did not mean for me to keep them forever. Never were these children mine to cling on to. In fact, we are told to "raise up" our children and I am perfectly content to know that soon, I will no longer carry the responsibility of their every need and that my days will no longer be focused on their spiritual and academic training. Of course, I don't abdicate it completely when they move out, nor do I plan to kick them out the day they turn 18, but even if they stick around, they will for the most part, be solely responsible for their own choices. So where is my difficulty? Contentedness, perseverance, faithfulness, pride, idolatry, and obedience. Wow, I am a worse sinner than I realized. Isn't that always the case? I sit here between two seasons realizing that I am not meant to bear the weight of child-raising forever, but also realizing how deeply I allowed my family to become an idol which leaves me grasping for identity outside of them. Let's not kid ourselves. 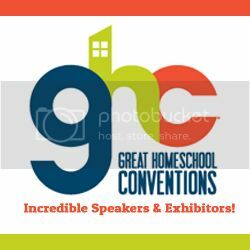 As homeschool parents we are with our children nearly 24 hours a day in their younger years and only slightly less as they grow older and start doing their own thing. Multiply that by 18 years (minimum) and that's a lot of hours. To continue that, we are constantly cooking, cleaning, teaching, refereeing, bathing, changing, disciplining, and training. From a worldly perspective it is a tireless and thankless job and it is very easy to take on the perspective of the world. It is very easy to feel as if we deserve more than what we are getting and it is very easy to mask that discontentment in piousness. "Oh, how I wish I could do more ministry! ", Oh, how I wish I could go to more Bible studies! ", "If I didn't have to be at home all the time I could be so much more effective for Christ!". If only becomes our battle cry and we settle into discontentment and even resentment, going through motions, but completely forgetting our identity and joy is in Christ not in the activities we are doing ,even if they are "for Him". And so the idol of "get my children to grow up so I can focus on me centered activities that I have convinced myself are better than the calling God has given me now", grows. In the process of this growth we become weary and forgetful of what faithfulness and obedience actually is. In my case, I came very close to disconnecting and just doing what I needed to do until it was over. What a rotten way to raise children. To top this off, young adults have a way of giving you a major reality check. They ask questions they never would have considered as a child and you come face to face with the reality of sending them out into our post-modern-technology-dominated world. They trade physically draining you to mentally draining you. Perhaps, what is most important though, is that they remind you that faith is not absorbed by osmosis. You must look at your own faith and come to terms with whether you really trust that God is sovereign and you must look at your view of how His sovereignty works in your child's salvation. Finally, you must recognize that you cannot save or unsave your child no matter how miserably you failed or gloriously you succeeded in being a "good" parent. This has been a hard lesson for me. Don't get me wrong, my children show encouraging fruits of true saving faith, and my hope is no longer in my ability to force my faith on them, but up until their teen years I genuinely took it for granted that they were believers. Their good, but extremely challenging questions were eye opening and humbling to say the least. I had set myself up as their Holy Spirit, had set the criteria for salvation, and had judged them saved. Pretty arrogant, huh? I had literally made myself God and the result of this was a crashing of my world when I realized exactly how not God I am. But Praise be to the One True King that the result of my crash has been to, albeit feebly, hand my children over to the actual Giver of Life. Let me tell you, while my flesh found the experience terrifying, (I was physically ill for over a month), my spirit has found such peace that I would not be able to find the words to blog it. My Father has no doubt tested my faith and brought to light many sins I was not dealing with. He has reassured me of my own salvation as I had no where else to run but to Him and he has given me a boldness to share my struggles that has been met with an answer to prayer in the form of several Godly women I have come to confide in. The faithfulness of the Father during these last few months has brought me to tears more than once. Especially, considering how flaky I can be. Lest I sound like my sins have been completely conquered in the last 3 months, let me talk reality. Daily, I struggle with the desire to expend the mental energy it takes to have 2 young adults in my house for any amount of time, much-less the amount of time they spend here as homeschoolers. Daily, I have found myself fighting not to just stack their books in front of them, grab the 8 year old and sit at the park all day. Daily, I have to confess pride, discontentedness, lack of faith, and a number of other selfish sins. At this moment I find it physically uncomfortable to have my children spend any large amount of time in my personal space. Something that is a big deal in our home as we have always been very physically affectionate in our home. I am struggling not to look too far ahead, but also being joyful in the coming season. Some days I have to sneak off to pray multiple times, some days I read scripture, know what the application to my life should be and then completely get it wrong all day long. Some days I still judge my success over my perceptions of what my children should look like in my own eyes. Most days I forget, even if only for a short time, that my job is obedience and faithfulness. Sanctification is slow and painful, but the Lord is faithful and I believe the promise of Paul in Philippians that "He will bring it to completion" and I am grateful, that "where sin does abound, grace abounds that much more". I am fighting to finish strong and to place my expectations solely in the promises of the Father and the work of Jesus by the power the Holy Spirit. One day my season will change and I believe that God will give me more freedom in what I choose to do for His Glory, but for now my calling is my children and it is my greatest desire to prove my love for my God by loving my children and being obedient to that call that my labor may be fruitful. 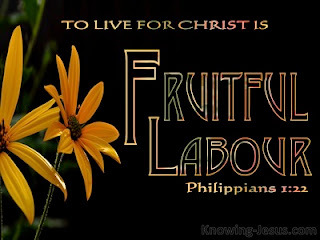 On a practical note, I have been studying Philippians in depth. I believe whole heartedly that the Spirit providentially led me to scripture that is primarily about being content and joyful. If you are struggling, I strongly suggest spending sometime meditating on Philippians. Very well said Anna. I am proud of you.